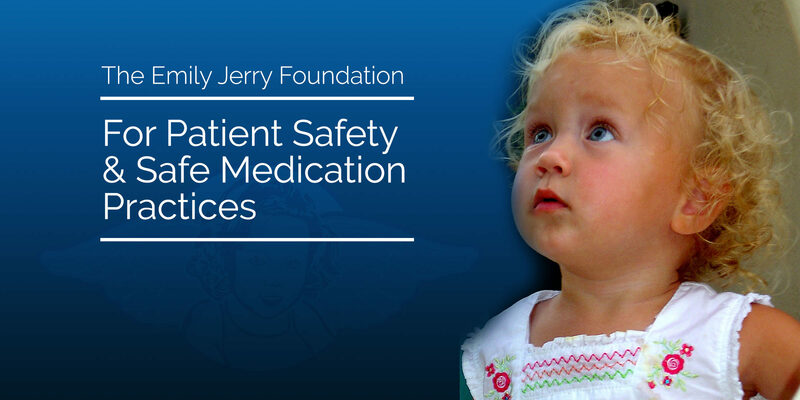 Ever since the Emily Jerry Foundation was established a few short years ago, we began interacting and collaborating with great organizations like The Institute for Safe Medication Practices (ISMP), The American Society of Health System Pharmacists (ASHP), our technology partners like Codonics, SEA Medical, etc. The primary reason for this, was due to the fact that my beautiful daughter Emily died from a tragic medication error in 2006, as a direct result of “human error” that occurred when a pharmacy technician incorrectly compounded her IV medication that horrible day when she was overdosed. With that being said, ever since Emily’s death, I have been working very diligently to try to find, and clearly identify, logical ways in which our nation’s medical facilities could significantly reduce the probability of this “human error” component from arising during the course of a patient’s treatment. Bottom line, I wanted to find ways that made sense and would be cost effective for any medical facility to implement, regardless of their size and scope of treatment. In 2011, at the American Society of Health Systems Pharmacists Midyear Meeting in New Orleans, I met a gentleman by the name of Robert Braverman for the first time. Robert is the President of a company called Medi-Dose which has been an industry leader for more than 30 years. They have an inexpensive system used by hospital pharmacies to package, handle, and dispense, predetermined amounts of medication, into individual unit doses for patients. Shortly after the meeting in 2011, Robert sent us a rather large box that included examples of all of their medication packaging and corresponding labeling. After receiving this from him, we began developing the overall idea for The Emily Jerry Foundation’s Guardian Angel Pediatric Safe Label Program.